Artists create new immersive media (AR/VR) experiences for exhibition open in San Jose May 18 to June 2. May 14, 2018, San Jose, CA -- Ever wondered what it would look like if you could use augmented reality to witness the evolution of a fake news story? Or perhaps how viewing another person’s filter bubble in virtual reality could lead you to feel more empathy for them? Reality Redrawn, presented by Mozilla in partnership with The Tech Museum of Innovation is a new collection of immersive artwork inspired by the power and danger of misinformation. “Little did we know when we set this challenge how the issue of misinformation would continue to dominate the headlines. Throughout history people have turned to art to help them understand the unfathomable such as wars, refugee crises or environmental pollution. 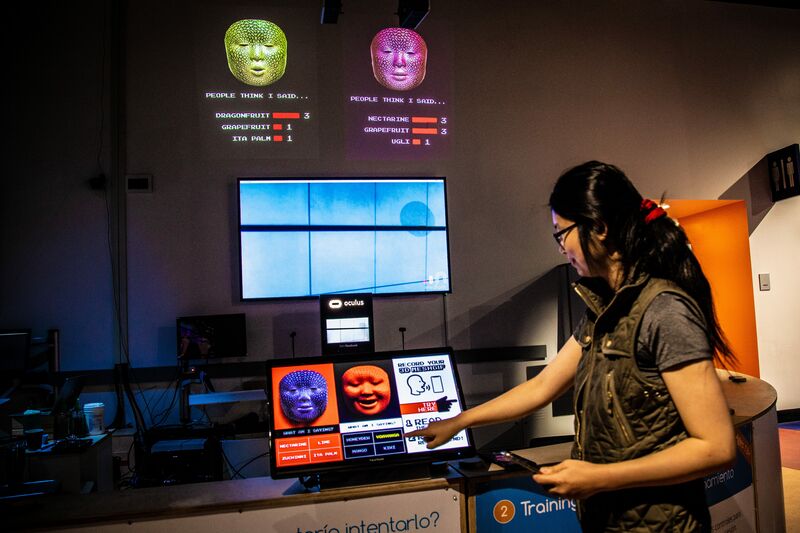 After experiencing Reality Redrawn at The Tech, I believe visitors will find new ways to understand this 21st century plague that threatens to ruin our trust in the web,” said Katharina Borchert, Chief Open Innovation Officer, Mozilla. Mozilla challenged artists from around the world to create public demonstrations that make the power of misinformation and its impact visible and real. The winners were announced in February and received a cash prize to help make their visions a reality. 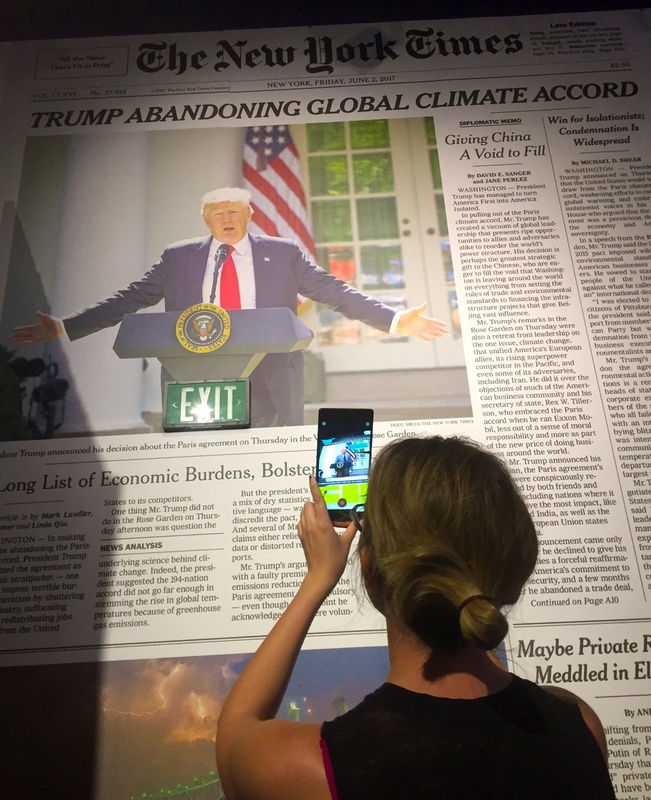 Among the experiences, visitors will play a 21st century game of telephone and walk along a literal political spectrum of opinions and viewpoints that updates in realtime on a wall-sized projection. They’ll also use a virtual reality headset to immerse themselves in the newsfeed of someone on the other side of the aisle and see what news sources others trust or regard as fake news. “Reality Redrawn will shine a light on an important issue in a digital age: how do we know what we know? The ability to use digital media to manipulate minds and hearts strikes at the foundations of society. We all need to adjust to how news is created and how it is received. We are thrilled to work with Mozilla to provoke this conversation through the medium of digital art,” says Tim Ritchie, The Tech’s president and CEO. The partnership is part of a larger initiative by The Tech to connect technologies companies with digital artists. The Tech will host Reality Redrawn May 18 through June 2. An opening night reception Thursday, May 17 will feature a conversation with Director of Research at New Knowledge, and Head of Policy at nonprofit Data for Democracy Renée DiResta, Wired Contributing Editor Fred Vogelstein, host of Marketplace Tech Molly Wood and the BBC’s North America Technology Correspondent Dave Lee. Where You Stand by Mario Ezekiel Hernandez and the vûrv Collective. Hernandez is a statistical analyst and interactive artist. Control the Algorithm by Rahul Bhargava, a researcher and technologist specializing in civic technology and data literacy. The piece is a collaboration between the MIT Center for Civic Media and the Engagement Lab at Emerson College.